Set behind the Arthur & Area Community Centre and Swimming Pool. 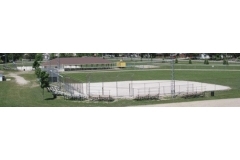 Two fenced ball diamonds with a Pavilion in the centre of the diamonds which offers shelter with ample picnic tables. Sand volleyball court .